2010 saw the largest increase in carbon emissions ever. This is now a suicide pact between the political right and runaway consumerism. This entry was posted in This Week in Climate Change on December 6, 2011 by Michael Happy. Frye’s observations below regarding the inimical effects of religious fundamentalism upon democracy are currently being demonstrated by the transformation of the Republican Party into a doomsday cult. Canada has nothing to compare to it yet, but Stephen Harper’s furtive intrusion of his own sheep-and-goats fundamentalist belief into the political and legislative agenda is an indication that it can happen here. This entry was posted in Frye on Democracy on December 6, 2011 by Michael Happy. Just under fifty years ago our prime minister was Lester B. Pearson, onetime president of the United Nations General Assembly and recipient of the Nobel Peace Prize. Canada’s spy agency was so reliant on information obtained through torture that it suggested the whole security certificate regime, used to control suspected terrorists in the country, would fall apart if they couldn’t use it. That’s the essence of a letter written in 2008 by the former director of CSIS, Jim Judd, obtained by The Gazette. Let’s make this very simple. Any Canadian citizen who practices or authorizes the use of torture should be charged, tried, and incarcerated in one of the new prisons the Harper government, despite our falling crime rate, has decided we need. The only obvious increase in criminality in Canada at the moment is at the top. 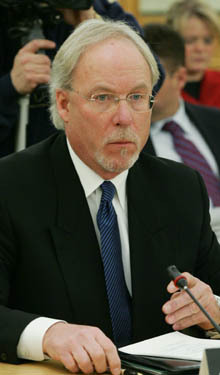 This entry was posted in Canada, Current Events on December 5, 2011 by Michael Happy. Former U.S. President George W. Bush has cancelled a visit to Switzerland over fears he could have been arrested on torture charges. Mr Bush was due to be the keynote speaker at a Jewish charity gala in Geneva on February 12. But pressure has been building on the Swiss government to arrest him and open a criminal investigation if he enters the country. 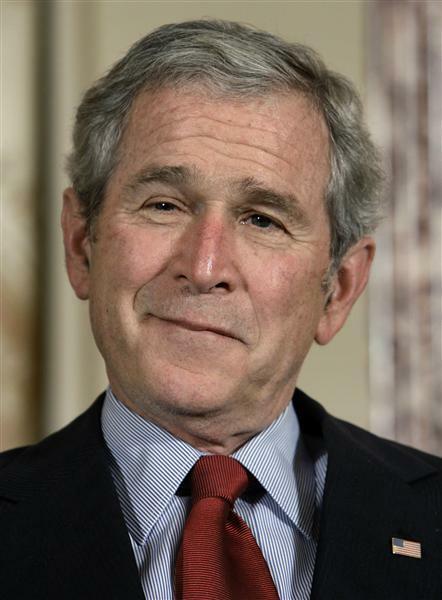 Criminal complaints against Mr Bush alleging torture have been lodged in Geneva, court officials said. Human rights groups said they had intended to submit a 2,500-page case against him in the Swiss city tomorrow for alleged mistreatment of suspected militants at Guantanamo Bay. Left-wing groups have also called for a protest on the day of his visit, leading organisers at Keren Hayesod’s annual dinner to cancel Mr Bush’s participation on security grounds. The New York-based Human Rights Watch and International Federation of Human Rights (FIDH) said the cancellation was linked to growing moves to hold him accountable for the use of torture, including waterboarding. This entry was posted in Current Events on December 5, 2011 by Michael Happy. Here’s an editorial, “Law and Disorder,” published in Canadian Forum, July 1949. This was a time when the Cold War between the United States and the Soviet Union began to get fully underway with a “Red Scare” that would soon bring Joseph McCarthy to the fore as the chief demagogic fomenter of national paranoia and the compromised rule of law that comes with it. To appreciate this editorial’s continuing relevance today, substitute the war on Communism with the war on terror. The present Communist witch-hunt in the United States has rather paralyzed liberal criticism, because of the complexity of factors and uneven distribution of sympathies involved. On the one hand, the democratic tradition gives the widest possible freedom of action in politics; on the other hand, the American people feel that in the present state of affairs Communists are for all practical purposes agents of Russia and active enemy aliens. Thus Communism is legal, but discouraged by intimidation; it cannot be prosecuted so it has to be persecuted. Unlike the witch-hunt of 1919 the present moves against Communism have a good deal of popular support, as Russia has thrown away all the vast good will which, a few years ago, she could have had for the asking from the American public. Liberals and intellectuals who find in Communism the enemy of everything they stand for hardly know what to say, as they disapprove of the means employed while recognizing a certain amount of of sense in the anti-Communist drive. The trouble is that there is no substitute for a reign of law except a reign of terror. If steps are taken against Communism outside the regular legal channels, they cannot help being violent and arbitrary. Without a legal definition of Communism, which would protect the Communist as well as the non-Communist, there is nothing to stop some people from calling anyone a Communist whom they regard as sufficiently dangerous. Without definite legal procedures, there is nothing to stop the anti-Communist drive from being led by people with lynching mentalities, who regard the processes of law as too cumbersome and slippery to work properly in an emergency situation. Whatever good the Dies and Thomas committee hearing may have done, the evil of intimidation, character assassination, forcible suppression of evidence, and the spreading of terrorized insecurity among government employees far outweighs it. To try to outlaw something by outlawed means in the name of the law is a hopeless paradox, and every step in contempt of law taken by a democracy brings it so much nearer to the processes of police espionage, torture, and secret arrest which democrats hate so much in the totalitarian countries. This entry was posted in Frye on Democracy on December 5, 2011 by Michael Happy. “Here Comes the Sun,” live, Concert for Bangladesh, 1971. The tenth anniversary of George Harrison‘s death passed earlier this week. Harrison may have had the best post-Beatles career. His first few albums after the breakup of the band, All Things Must Pass and Living in the Material World especially, arguably surpass anything that Lennon or McCartney managed on their own, even if the momentum of their earlier success seemed to take them further. It’s obvious in retrospect that by the time of Revolver (1966), Harrison was diligently working independently of Lennon and McCartney, whose music redefined the band with every new album; it’s just three years from “A Hard Day’s Night” to “A Day in the Life.” It’s therefore tempting to regard Harrison’s one or two contributions per album as pleasant enough add-ons to the manifest genius of his band mates. But Sgt. Pepper, for instance, would not really be the same album if it didn’t include “Within You, Without You”, around which the rest of the album pivots. In the same way, the increasingly expansive experimentation marked by Magical Mystical Tour cannot be fully appreciated without “Blue Jay Way.” “While My Guitar Gently Weeps,” meanwhile, is probably the most iconic song from the White Album, and Abbey Road simply could not be the album it is without “Here Comes the Sun” and “Something.” Harrison’s songwriting contribution was relatively small, but it provided an often unpredictable twist to the band’s repertoire as a whole. The work that came afterwards, of course, was done on his own terms and in his own time, and the first decade of the post-Beatles world is hard to imagine without it. Here’s some of Harrison’s later Beatles stuff, as well as selections from his solo career. This entry was posted in Anniversaries on December 3, 2011 by Michael Happy. 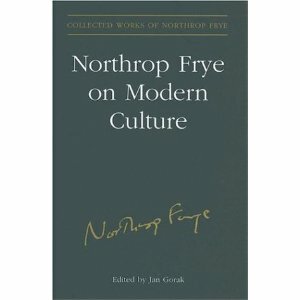 It’s been observed here many times by different people that Frye possessed remarkable powers of prophecy: observations on society and politics made sixty years ago or more remain relevant to the current social scene, often to a startling degree. A case in point is the quote below. It requires no elaboration. This entry was posted in Frye on Democracy on December 3, 2011 by Michael Happy. 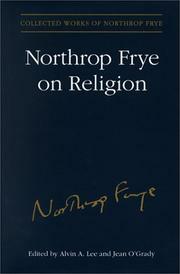 Our coverage of recent events invites a consideration of Frye’s observations on democracy. Not surprisingly, he has much to say: putting together a compilation involves 23 of the 29 volumes of the Collected Works, so it will take a while. Until it is completed, however, we’ll put up a quote a day. Our first is his editorial, “The Idea of Democracy,” published on February 7, 1950, in The Varsity. All governments whatever must be either the expression of the will of a minority holding autonomous power, which is able to impose that will on society as a whole, or the expression of the will of the people as a whole to govern themselves. In the former case there is an antithesis between a ruling class and the ruled classes; in the latter case there is no governing class, but only a group of executives and public servants responsible to society as a whole for what they do. The latter conception of government is the democratic one. Democracy is thus essentially the attempt to preserve law and order in society which has superseded the primitive and outmoded idea of “rule.” A monarchy may be democratic, as in Great Britain, but only if the king is conceived of reigning rather than ruling. But the cardinal democratic principle of limiting autonomous power applies to the majority as well. Unanimity being unobtainable in human society, the deciding force of democratic political action is normally the will of the majority; but democracy is very far from being merely an expression of the will of the people. The unconditioned will even of a majority could bring about as great a tyranny as the unconditioned will of a single ruler. The energy and dynamic of a democracy derive from majority rule; its balancing and preserving principle is minority right. In other words, the expression of popular will will bring freedom only insofar as it is an informed will directed toward a desirable end. The conception of what the desirable end is must be built up from a conflicting body of minority opinions. A democracy must, therefore, adopt the principle of toleration toward a variety in opinion and an inductive and empiric attitude to opinion in general. All kinds of religious views, of political programs, of scientific and philosophical conceptions, must be given free play. The limiting principle of such tolerations is that all opinions should be as far as possible be publicized, that is, submitted to the people as a whole. The publicizing of various opinions is democratic education in the broadest sense, the informing of the popular will by the individuals or minorities who have something to contribute to it. To use Toynbee’s language for a different purpose, in a democracy all minorities must be creative minorities, never dominant ones. Antidemocratic social action, of the kind intolerable to a democracy, must necessarily be in the direction of withdrawing information and action from the community as a whole. It is a contradiction in terms for a democracy to tolerate a conspiratorial coup d’etat aimed at the restoration of the old idea of a professional ruling class. Democracy being a political theory only, it needs an economic structure to complete itself. Originally, this economic structure was laissez-faire capitalism, which aided the growth of democracy by playing a revolutionary role against the old hereditary concentrations of power and privilege which had come down from feudal times. By now laissez-faire is in considerable danger of developing into an oligarchic dictatorship or managerial system, and revolutionary democratic action now takes the form of using the democratic machinery of government, the Parliament, the civil service, and the cabinet, to control the productive industrial economy to the point of making its actions known to the people as whole and responsible to them. Along with this has grown what is coming to be known as the “welfare state,” the attempt to integrate the economy of society more closely with its government. This entry was posted in Frye on Democracy on December 2, 2011 by Michael Happy. 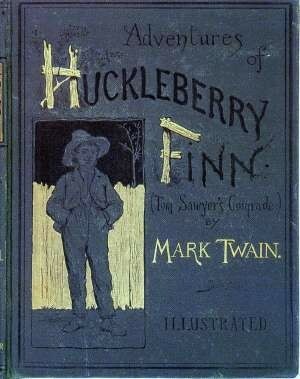 The first edition of Huckleberry Finn, 1885. Yesterday was Mark Twain‘s 176th birthday. Huckleberry Finn seems to have been a treasured text from Frye’s youth. He noted that his personally favorite archetypal theme was katabasis, or descent, and Tom Sawyer (the protagonist for whom Frye appears to have had an abiding distate) along with Huckleberry Finn provide a powerful rendition of it. There’s a story, perhaps apocryphal but still interesting in itself, that Frye as a first year undergrad at Victoria College wrote home to have his copy of Huckleberry Finn shipped to him because the copy he had didn’t fall open at the right places. Everyone quotes the penultimate line in Huckleberry Finn about lighting out for the Territory, but less attention is paid to the even more significant last sentence: “I been there before.” There can be no creative return to the past; the past is absorbed into the future. . . . This entry was posted in Archetype, Birthdays, Frygiana on December 1, 2011 by Michael Happy.